I have to admit, I was never really much of a TNT fan. They had all of the right elements (great vocals, shredding guitar, etc.) but somehow I found them to be ordinary - not bad mind you, just ordinary. I state this information as a reason to why I was a bit apprehensive to review Tony Harnell's latest offering. I know this is a band and not just a one-off project by Tony Harnell. To say I was surprised by this release is an understatement. I played this album completely 3 times during this review placing it in my top 10 releases of 2005. Although Tony is the big name in Starbreaker, the band does not take a second seat to him. Magnus Karlsson (guitars), John Macaluso (drums), and Fabrizio Grossi (bass) are just as important to this project. This band rocks! 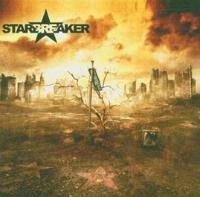 Starbreaker is the type of project where all the pieces fit, leaving the listener with a well crafted and perfectly performed album. I read that this is not going to be the only release. I, for one, would be disappointed if it was. This is a nice opener for the album. It is a little faster paced than the some of the other tracks. The middle section has a Middle Eastern feel to it, that sounds weird but it really does work here. This song is good but it suffers from being a bit ordinary. Compared to the rest, this is the weakest link. This track has the kind of chorus that will stick with you for days. Not to worry, it's one of the stronger cuts on this almost flawless album. If I owned a record company, I would sign these guys on the strength of this one alone. It's a nice mid paced rocker that has some double kick drums in the intro. There are some cool keyboard textures which add a little something to the song. A piano intro leads to some Yngwie Malmsteen riffing. Even though there is more piano in the song and it has power ballad written all over it, I think the Yngwie riffing really elevates this into something better than a power ballad. This is also a good mid-paced rocker with some heavier style riffing. Tony Harnell's vocal performance really shines on this one. He uses his high register right before the chorus leaving no doubt as to why he is considered a great vocalist. This is the second best track on the album. The melody for the chorus is catchy you will be humming this for a while. It's catchy without being annoying. This is the most TNT styled song here. If you like them, you'll like this. Tony Harnell puts in another great performance. Aside from the keyboards, this is probably the heaviest track on the whole disc. 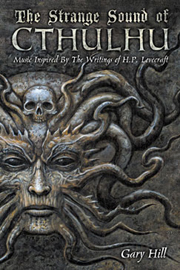 It has some elements of Hammerfall when it comes to the intro riffing. Magnus Karlsson puts in a really good guitar solo on this one. This is the only instrumental on the album. It starts off with a non-rock beat. The band really shows off their chops on this one. It is different than most of the disc but don't skip this one or you'll really miss out on some great playing. This is kind of like "Dragonfly" in that it has a different type of beat. It is also one of the faster paced songs on the album. The review copy I got didn't have a name for this bonus track listed. I could guess that it's called "I'm Free". It is an acoustic ballad and is really a good song. I don't know if this is on all of the CDs but it is too good to just be a bonus cut.